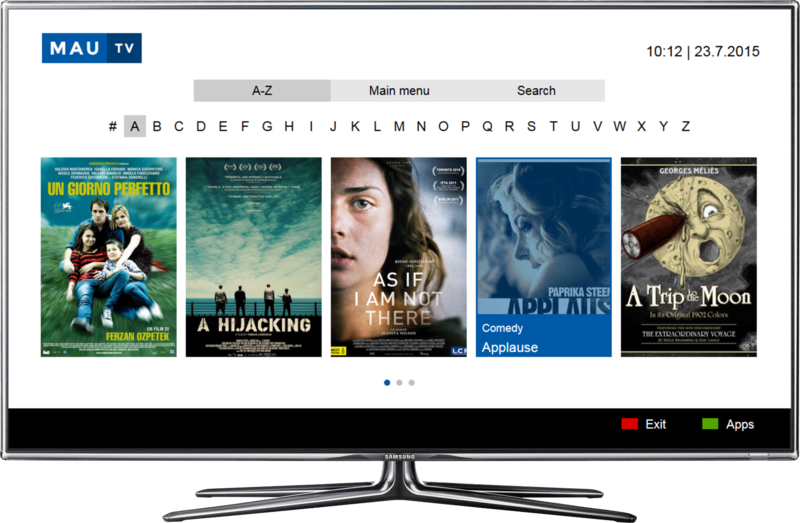 HbbTV White-label is a package of 5 prepared and customizable applications + several interactive games based on the standard requirements of our clients all over the world. Our solution works on all modern smart TVs and is suitable for broadcasters that want to utilize their TV channel at its fullest and offer maximum interactivity to their audience. 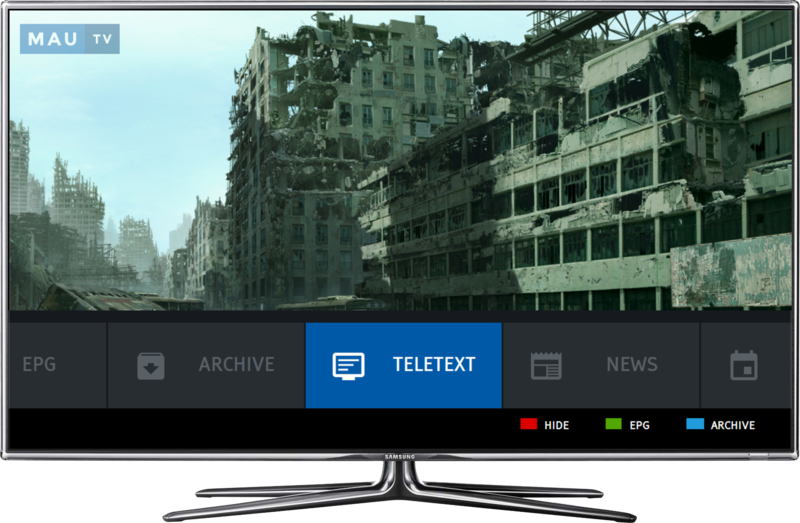 The package contains application for VOD archive, EPG, weather, news and teletext. 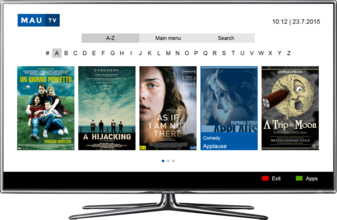 All applications are currently compatible with the HbbTV standard 1.0 and 1.5, but we guarantee free-of-charge upgrade to the upcoming HbbTV 2.0 version when it's released. 5 applications. Maximum viewer engagement. 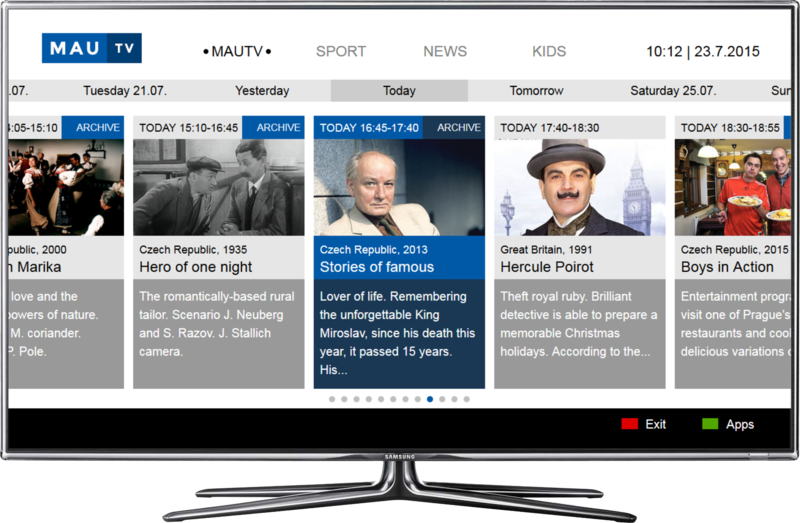 HbbTV White-label is the result of our many recent HbbTV & OTT projects, out of which we took the best regarding both functionality and design. 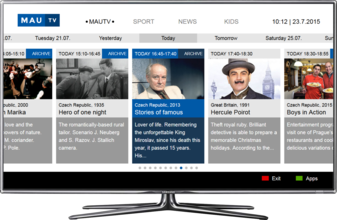 All these HbbTV applications were prepared to take full advantage of the HbbTV benefits such as maximum interactivity and viewer engagement. The result is simple and customizable solution that will save you both time and money.